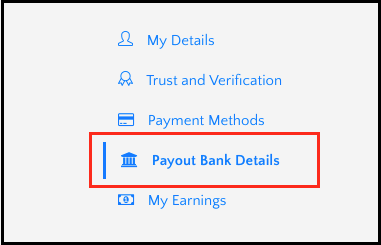 In order to receive payment directly into your bank account, will need to enter in your bank details to your Parkpnp account. All our payments are handled securely via Stripe , our international payment partners. 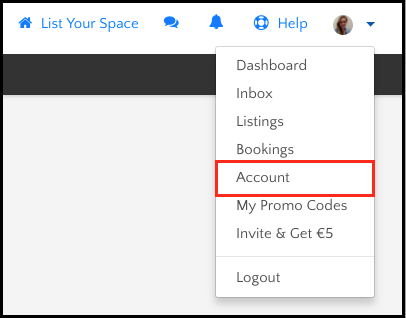 Take a look below at the step by step guide on how to enter in your payment details. Log into Parkpnp and select &apos;Account&apos;. 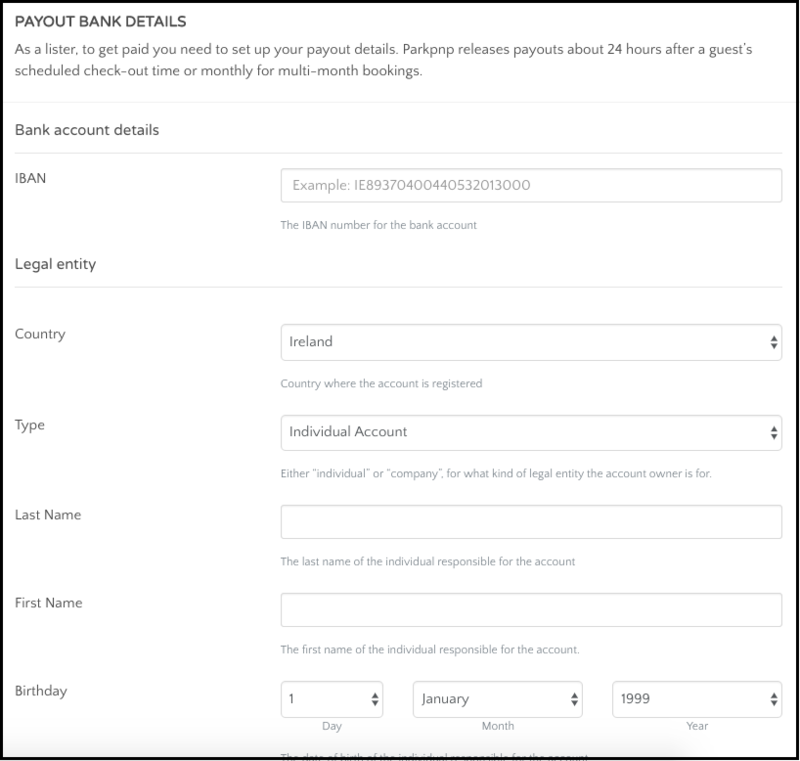 On the left hand side click &apos;Payout Bank Details&apos;. Enter in the required information. You will need your IBAN number for this stage of the process. Your bank account details have now been saved. The final stage of the process requires you to upload ID such as a passport or drivers license. The means that we can verify that your bank account matches your ID to ensure we are paying the correct person. TIP: Copies of colour ID work better. You&apos;re now all set to receive payment. Once the booking has come to an end you will be paid directly into your bank account.